A seminar focusing on the topic, “Understanding Islamic Banking and Finance” was presented by the Central Asian Productivity Research Center, at 10:45 AM, on Friday, January 7, 2014, at East-West University, 816 S. Michigan Ave., Chicago, Illinois. 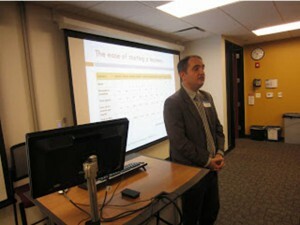 The presenter was Dr. Ozgur Arslan-Ayadin, a CAPRC advisory board member and clinical assistant professor of finance at the University of Illinois at Chicago (UIC), where she has designed undergraduate and graduate courses on international financial markets and Islamic Banking and Finance. Before joining UIC in 2010, Dr. Arslan-Ayaydin was an associate professor of finance at Hacettepe University, in Ankara, Turkey, She earned her undergraduate degree in economics at Hacettepe University and a master’s degree in finance at the University of Leicester, UK. She completed her formal studies at Hacettepe University, where she earned her Ph.D. in finance. She also was a Ph.D. visiting student at the University of York, UK as a Jean Monnet Scholar. Dr. Arslan-Ayaydin also acts as an external evaluator and rapporteur of Marie Curie FP7 Research Projects to the European Commission and publishes articles on corporate finance and international finance. Dr. Arslan-Ayaydin, commenting on global financial markets, explained “The recent turbulence in the global financial markets has drawn attention to Islamic banking and finance as an alternative to the Western system of finance. The Islamic World is the custodian of immense natural resources that back its trading and financing activities.” “Islamic finance has been growing 14 percent per year with Islamic finance assets exceeding $1.1 trillion in cumulative value in 2011”, she added. “What makes Islamic finance different from Western finance is that Islamic law forbids the paying of interest. This prohibition is based on the concept that money should measure, rather that create value. Islamic banks thus avoided many of the debt-backed instruments that severely affected many conventional banks during the recent financial crisis. This presentation will explain Islamic Banking and Finance through its six main contracts by comparing each of them with conventional interest-based finance”, she added. 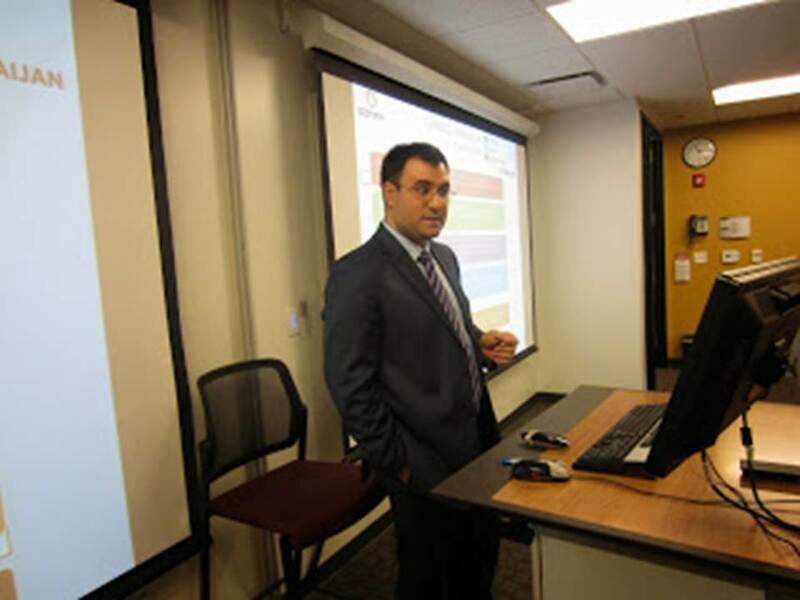 During the fourth quarterly meeting of the Central Asian Productivity Research Center advisory board meeting, members focused on planning for the 9th Annual Silk Road Conference scheduled on Friday, May 16, 2014, at the Illinois Institute of Technology Kent School of Law Auditorium in Chicago, and Â honored two advisory board members and two students. 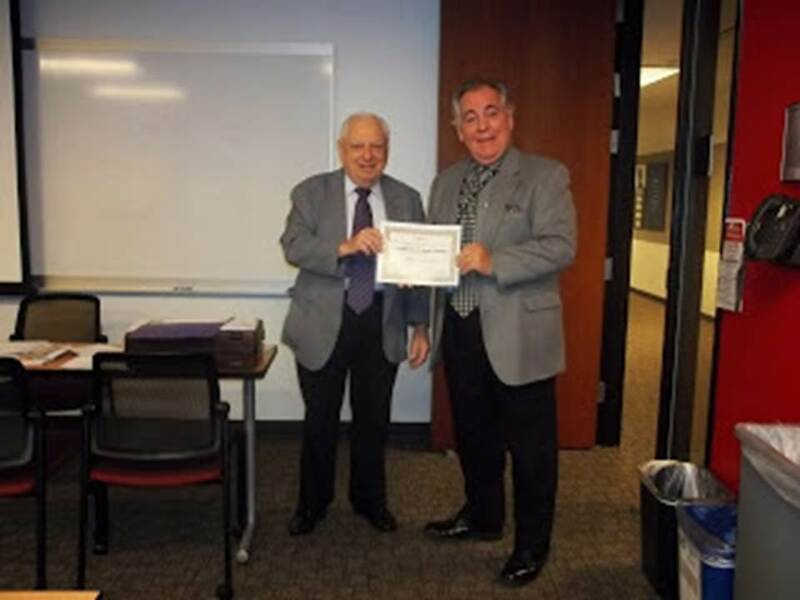 Professor Harry Lepinske, CAPRC chairmen, (left), is seen presenting a Certificate of Appreciation to Professor Michael Vasilou, of Keller Graduate School of Management, DeVry University, for his strong support services for the CAPRC and its various activities. 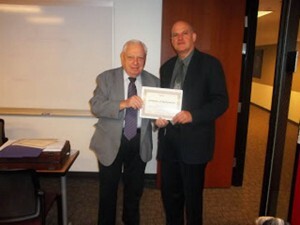 Professor Vasilou also accepted a certificate, in behalf of the university, for its support. 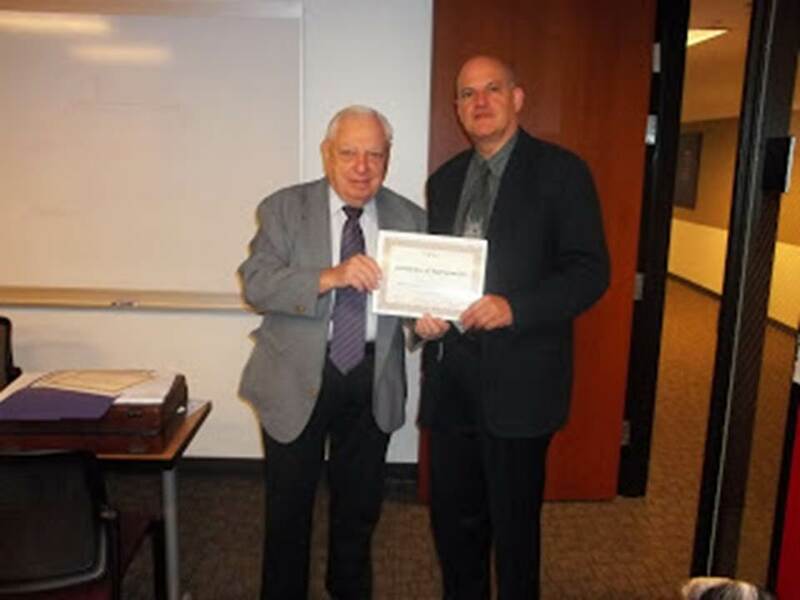 Professor Lepinske also presented a Certificate of Appreciation to Professor John Kalaras for his strong support for CAPRC activities, especially his help with providing programs about Quality Management and support for the annual Silk Road Conferences. 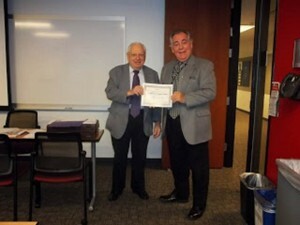 Professor Kalaras, is a senior professor who teaches Quality Management at DeVry University and is a global consultant for the Quality Training Institute Inc., which also has supported the CAPRC for several years. The US – Kazakhstan Convention is the largest gathering that is focused on strengthening political, social, and economic ties between the Kazakhstan and the United States. It takes place on December 11, 2013, Wednesday, at Hyatt Regency hotel, Ballroom A, (400 New Jersey Ave NW, Washington, D.C., DC 20001), and brings together a diverse range of stakeholders including governmental officials and parliamentary delegations from the Kazakhstan, US government officials, US Senators and Congressmen, emissaries, leaders of the Kazakh Diaspora, private sector stakeholders, representatives of multinational corporations, representatives of international organizations, academics, and experts. The convention features high-profile events showcasing the growing partnership between Kazakhstan and the United States. These include keynote addresses by top government officials and parliamentarians, an in-depth and interactive forum featuring presentations by top officials and experts, and networking sessions joined by distinguished guests. The convention is organized by the Embassy of Kazakhstan, Turkic American Alliance, Council of Turkic American Associations, Turquoise Council of Americans and Eurasians, which is the largest national Turkic organization in the Unites States, representing over 200 community associations, cultural centers, business associations, and educational institutions. 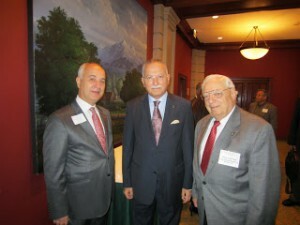 It also functions as a powerful advocate for dialogue not only between the Turkic American community and the American public in general, but also the Turkic countries and the United States. 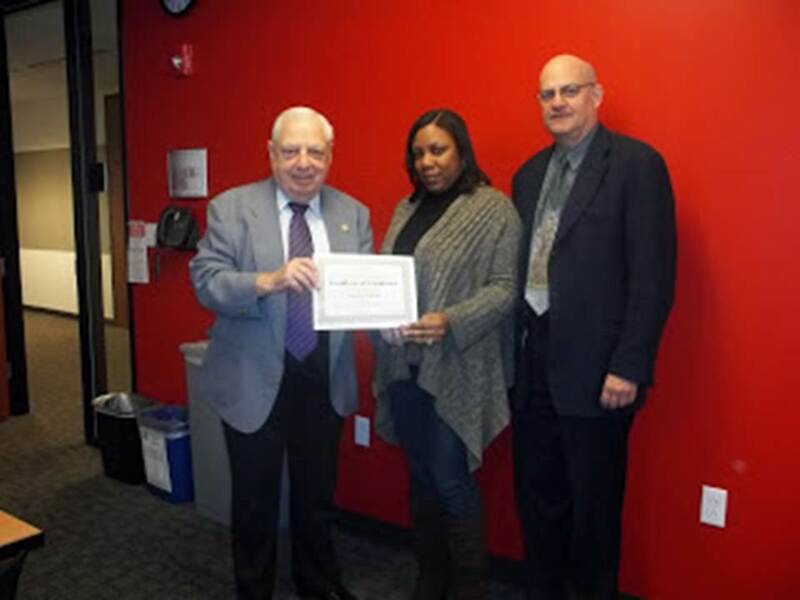 The theme of the 2014 Convention is Successful Strategic Partnership. It centers on moving forward the existing partnership between Kazakhstan and the United States, increasing strategic cooperation and opening new opportunities for long-term initiatives between American and Kazakhstan. The Convention, will explore the enormous partnership opportunities between Kazakhstan and the United States of American. Pulod Ameribekov, director, Promotion Solutions, a prominent marketing firm, located In Dushanbe, Tajikistan, spoke about “Marketing in Tajikistan”. 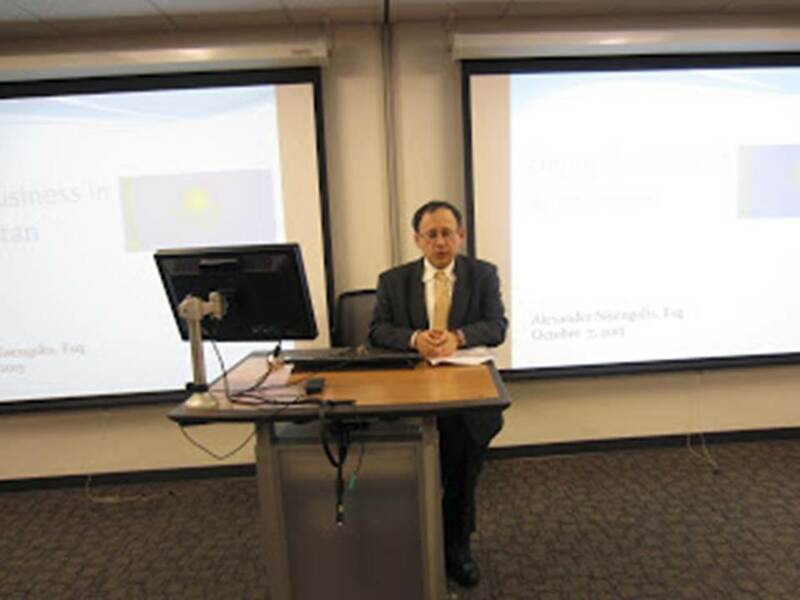 Alex Nisengolts, a CAPRC advisory board member, spoke about “Consideration of Legal Aspects in Kazakhstan”. 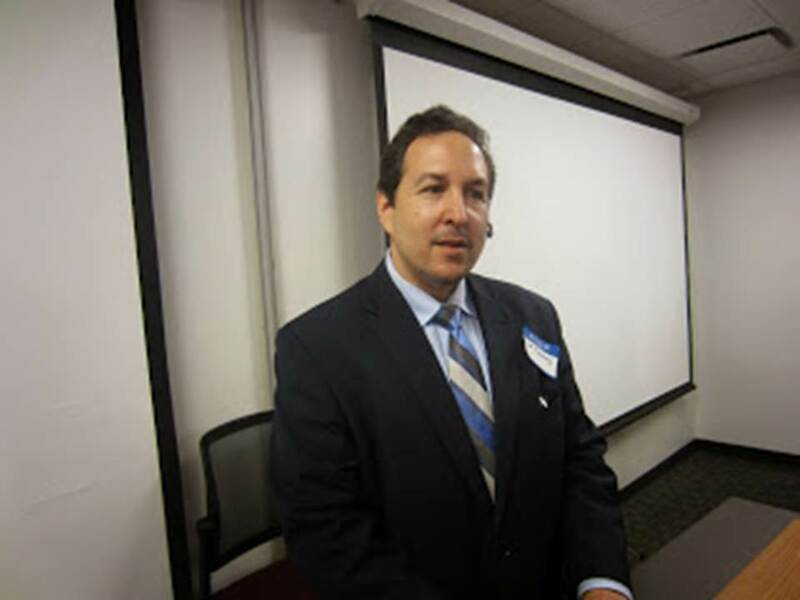 Thomas Rosenberg, representing the Turkish American Businessmen’s Association (TABA) about “Marketing in Central Asia Via Turkey”. Elshan Baloghanov, the U.S. representative for the Azerbaijan Export and Investment Promotion, is seen speaking about “Marketing in Azerbaijan”. 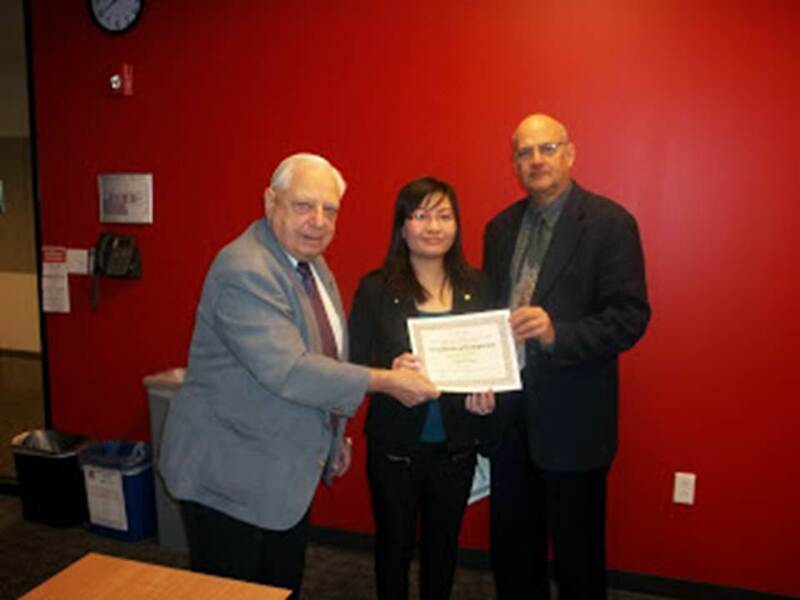 The 4th Multinational Energy and Value Conference will be held from May 15 through May 17, 2013, hosted by the Center for Energy and Value (CEVI) in association with the College of Business at Northern Illinois University. The objective of the conference is to bring together academics and practitioners from all over the world with a focus on timely valuation issues in the energy sector. With Chicago, Illinois as the conference venue, conference participants can sample Chicago’s world-class dining, entertainment, arts and culture. This event is organized by the American-Uzbekistan Chamber of Commerce jointly with the Ronald Reagan Building & International Trade Center. Ilhom Nematov, Ambassador of the Republic of Uzbekistan to the United States of America Mara Burr, Deputy Assistant United States Trade Representative, South and Central Asian Affairs, Office of the United States Trade Representative, Executive Office of the President Brian Sant Angelo, International Business Development, Europe & Central Asia, US EXIM Bank Danica Starks, Senior Desk Officer for Russia, Caucasus and Central Asia, Office of Russia, Ukraine & Eurasia, Market Access and Compliance Unit, International Trade Administration (ITA), US Department of Commerce’s Lynne Tracy, Deputy Assistant Secretary of State for South and Central Asian Affairs, US Department of State. 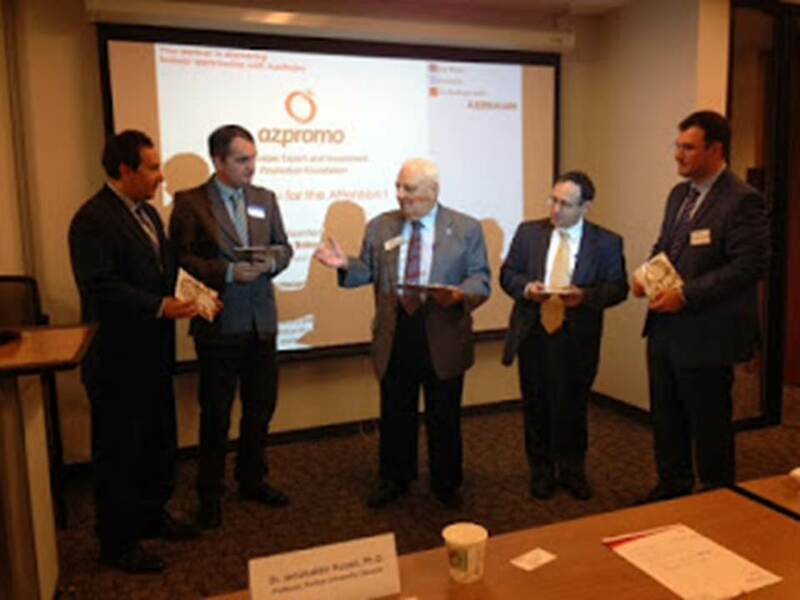 The Ame rican-Uzbekistan Chamber of Commerce has been at the forefront of advancing trade and business relations between the US and the Republic of Uzbekistan. Located in the heart of Central Asia, Uzbekistan is home to almost 30 million people, has rich natural resources base and enjoys a GDP growth of 8%. The country’s established infrastructure and well-skilled workforce are an attraction to U.S. companies. AUCC members are currently negotiating contracts and projects which, if implemented, will total $2.8 billion invested in the next 2 – 3 years. During the period of 1992 to 2012 U.S. exports to the Republic of Uzbekistan amounted to more than $3.3 billion and American companies have invested more than $500 million in the Uzbek economy. In 2012 the US exports to Uzbekistan totaled more than $285 million compared to $100 million in 2011 and $101 million in 2010. While this is good news, the volume of U.S. exports and investments in this largest Central Asian marketplace is lower than those of Uzbekistan’s near neighbors, including Russia with its exports to Uzbekistan reaching more than $2.3 billion in 2012. Trade benefits everyone and should be explored in full so that the benefits for the security, cultural and education cooperation can derive from it. Join AUCC discussion with senior officials from the U.S. and Uzbek Governments on their assessment of the present and future of our countries’ bilateral business cooperation. 1) What trade facilitation and credit financing mechanisms are in place to encourage U.S. businesses to be more assertive towards the Uzbek market? 2) What obstacles do U.S. businesses face in Uzbekistan and how do both Governments cooperate to address them? 3) What is the future of the Bilateral Investment Treaty and the Double Taxation Agreement between the U.S. and Uzbekistan? Can U.S. businesses expect their ratification before 2015? Will they retroactively apply to contracts signed prior to their ratification? 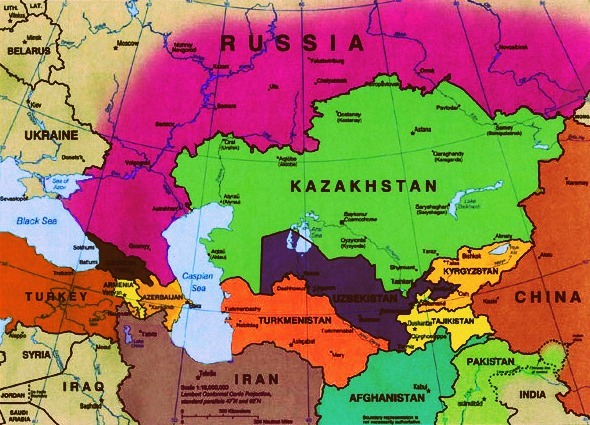 4) What are the governments’ views on Central Asian neighbors’ WTO, Customs Union and Free Trade Zone memberships? What influence do these unions and collective agreements have on the US relations with Uzbekistan? These and other questions will be answered by our speakers. The event is OFF-THE-RECORD. No media inquiries please. The event is moderated by AUCC. 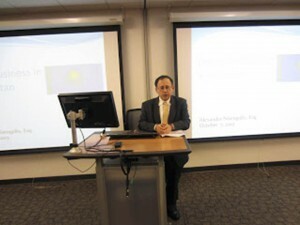 (Chicago , Ill) – With a full day of timely business sessions, and other activities, the “Eighth Annual Silk Road Conference” again is scheduled in Chicago, Illinois, USA, on Friday May 17,2013. The Conference will be held at the Chicago Kent School of Law Conference Center at 565 West. Adams Street, in Chicago, and will be highlighted by a morning networking session, exhibits, ethnic gourmet lunch, field trips, social events, and “One-on-One” business meetings. Representatives from government and business will discuss various business aspects during country panel discussions. Focus will be on Azerbaijan, China, Kazakhstan, Turkey, Pakistan, and Uzbekistan. 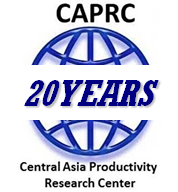 Organized by the Central Asian Productivity Research Center, which has been involved in projects both in the US and in Central Asia for more than a decade, focuses on economic development programs such as entrepreneurship and small business development in nations along the Silk Road and neighboring regions.